BLM Wild Horse Program is an Expensive Disaster | RANGEfire! The BLM’s Wild Horse Program has been a very expensive working disaster for years. 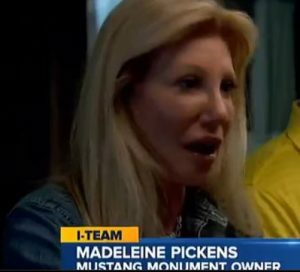 In purported joint venture between the BLM and Madeleine Pickens, “Mustang Monument,” and expensive eco-sanctuary for wild horses was created and devoloped in rural Elko County, Nevada. 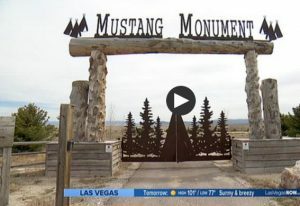 The Mustang Monument in Elko County was created as an alternative for the troubled wild horse program, but the Bureau of Land Management has stopped the project from moving forward. The I-Team has obtained internal documents which show that what the BLM said in public is much different from what it thought in private. The wild horse program is thought by many to be the worst program in the federal government. Bad for the horses, bad for the range, bad for the taxpayers. Every two or three years, the feds pay for an expensive study, and every study concludes that BLM needs to try something different. BLM always reacts the same. It ignores the recommendations. Mustang Monument was going to be a public private partnership — a radical change good for the horses, the range and the taxpayers. 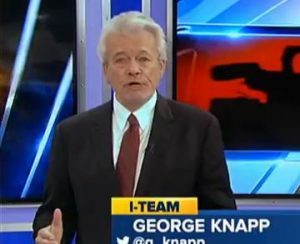 The public records request shows it never had a chance. “This is a new batch obviously, these young ones,” said Jerry Reynoldson. At a corral on the Mustang Monument property, veteran wild horse advocate Jerry Reynoldson checks out some new arrivals. 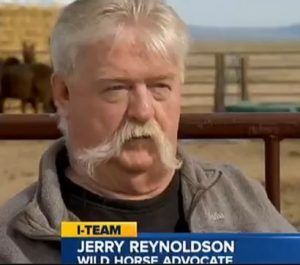 For more than 25 years, Reynoldson has tried to work with BLM on solutions to its troubled wild horse program, and he’s been a key advisor to Madeleine Pickens in her development of the mustang monument as a model for what could be done, but both now believe BLM was never going to allow it to happen. An obscure road is an example, Pickens planned to use it to transport tourists from her guest accommodations to deeded property on the other side of her range for cookouts and to see the herd of horses that was living out there, that is, until vandals cut the fences and the horses either died or ran off. 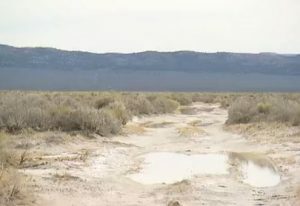 BLM won’t allow the use of the rarely traveled access road. “BLM has given her four or five pages of questions about what she would do on the road which include, where would people go to the bathroom? The answer is, it’s a short enough drive they wouldn’t go anywhere but they don’t want to know where, they want to know how many times would they stop, how many times would they need to use a facility. Silly questions,” Reynoldson said. A road that’s been trod for a century by cows, sheep and horses can’t be used to transport visitors because someone might have to pee. Pickens spent $6 million for two sprawling ranches because she was encouraged to do so by BLM. She offered to get other investors to buy another 2 million acres, and take all 30,000 wild horses the BLM had in storage, a plan which BLM admits would save the taxpayers more than $100 million in just five years. In public statements, BLM said it wanted to work with Pickens, but privately, it’s another matter. Public records obtained by the I-Team show that BLM staff plotted the demise of Pickens plan from the beginning. A 2008 white paper discusses how the law could be used to prevent the project. BLM blacked out the details as being privileged information. BLM declined to be interviewed for this report, but in a written statement explained why, after seven years, the bureau still has not completed an environmental review. We need more information, the BLM told the I-Team and since there are “unresolved issues” with the Pickens plan, no such analysis would be appropriate. In one candid memo, BLM admits an unspoken concern that the proposal would be politically perilous in cattle-friendly Elko County. BLM staffers imposed ever-changing conditions that they knew would stir up opposition, not only from ranchers but also from wild horse advocates, such as forcing the roundup of existing horses on the range, making all of the Pickens horses sterile, and putting fences around the entire public acreage. In 2015, BLM finally tipped its hand. When Pickens asked during a meeting what it would take to get the necessary permits, bureau staffers issued a startling demand. “They said, we’ve had internal discussions. If you’d be willing to surrender your grazing and water rights, we could work with you on the project,” Reynoldson said. Giving up the grazing and water rights would in effect mean giving up the property itself. Pickens was stunned, and decided soon after that the monument would not open in 2016 for visitors, knowing BLM would never allow it. “The BLM, the Interior Department have blown up stories and created fabricated issues that simply don’t exist. The only thing I can say is, it’s a failed program. It’s a failed agency. I feel sorry for them. Every time I do something, they fine me, or they find a way to come and get me. It’s a witch hunt,” Pickens said. The Mustang Monument opened for a period last year and high-end tourists, especially foreign visitors, they loved it. Pickens already had reservations lined up for this year, but she never opened because the BLM wouldn’t allow her to move forward and also because of opposition from Elko County officials and residents.